All missions within a chain must be completed in successive order with Tier V–X ships in Random, Ranked, or Co-op Battles once per day. On October 4 and 9, instead of a daily bonus, you will receive 1,000 XP for your ship for completing Part 1 of the chain, 1,000 Free XP for completing Part 2 of the chain, and 2,000 Elite Commander XP for completing Part 3 of the chain. For those who want more bonuses, we have prepared a Daily Challenge aimed at completing a certain number of daily combat chains per month. As a reward for completing an easy and normal challenge, you will get even more signals. And if you manage to complete 20 chains, you will earn three of each signal flag of each type. Reward: 7 of each of the following signals: Equal Speed Charlie London, India Bravo Terrathree, Zulu, Papa Papa, and Zulu Hotel. Reward: 10 of each of the following signals: Sierra Mike, November Foxtrot, November Echo Setteseven, Victor Lima, and India X-Ray. 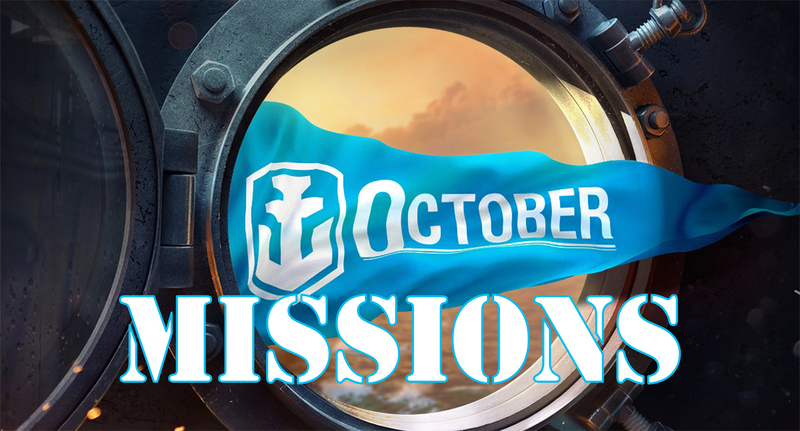 To make the process of completing combat mission chains even more interesting, we have hidden several additional bonuses in some chains throughout the month. Complete combat mission chains more often to claim them all!